The Giacomini family traces its roots to the mountainous terrain of northern Italy. In the early 20th century, Tobias Giacomini left Europe to settle in Northern California. 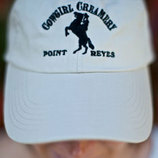 A half-century later, his grandson, Bob, and Bob’s new wife, Dean, bought a farm near Tomales Bay and began raising Holstein cows and selling milk to a local creamery. 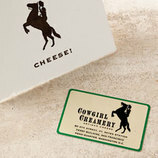 Their herd grew from 150 to 500 by the mid-1990s, and the farm’s lush pastures are now certified organic. 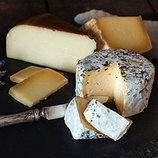 Bob and Dean had four daughters and, in 2000, the family launched the Point Reyes Farmstead Cheese Company, using its own milk to make its first cheese, Point Reyes Original Blue. 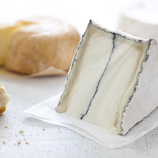 Bay Blue is the family’s newest cheese, a rustic blue with a thin natural rind and a dense, fudgy texture that smacks of Stilton. Its blue-green veins offer balanced flavors of fruit and nuts, while the buttery paste has a sweet, caramel finish. 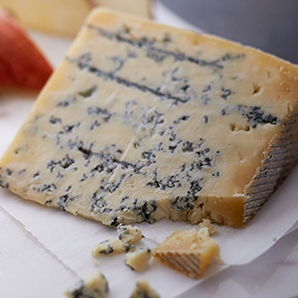 Bay Blue is perfect on a burger or stirred into a rich risotto, or as an after-dinner cheese course alongside a glass of Port, a few sliced pears or a handful of dried figs.